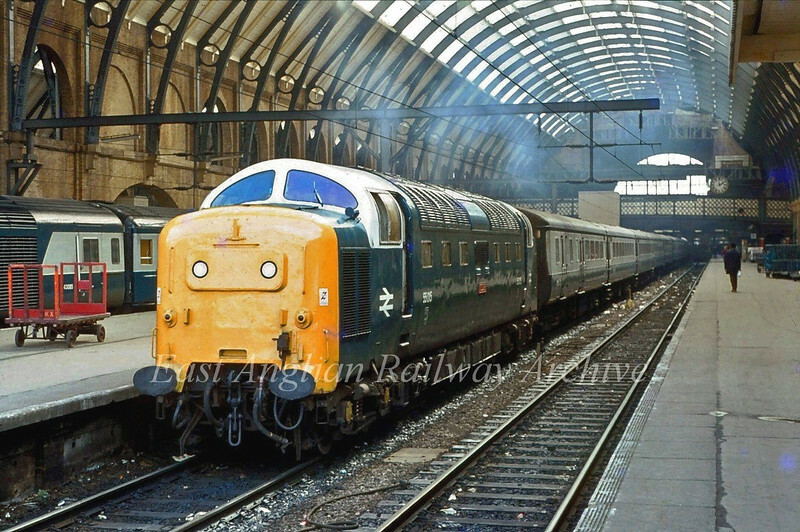 55015, Tulya, simmers at Kings Cross waiting to depart with the 1405 to York on 4th April 1980. This particular Deltic holds special significance. As a young boy it was the only Deltic not underlined in my Ian Allan locospotters book and it stayed elusive for a long time. D9015 was eventually seen at Huntingdon in 1964 and I had then indeed "copped" the lot.